“7-Eleven is happy to always provide exciting products and promos for our customers so that they can always look forward to fresh new offerings in our stores. Right now, we are happy to bring these Justice League heroes to the hands of our customers. 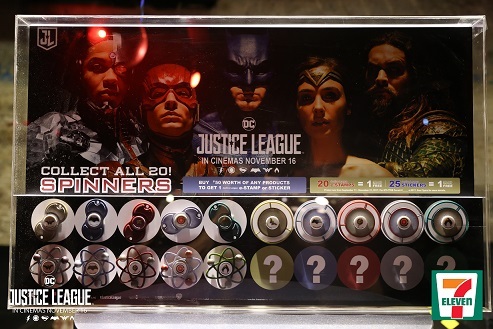 With these spinners, we’re bringing your favorite comic book heroes closer to you,” Jose Victor Paterno, President and CEO of Philippine Seven Corporation, the local licensee of 7-Eleven said.